You guys! 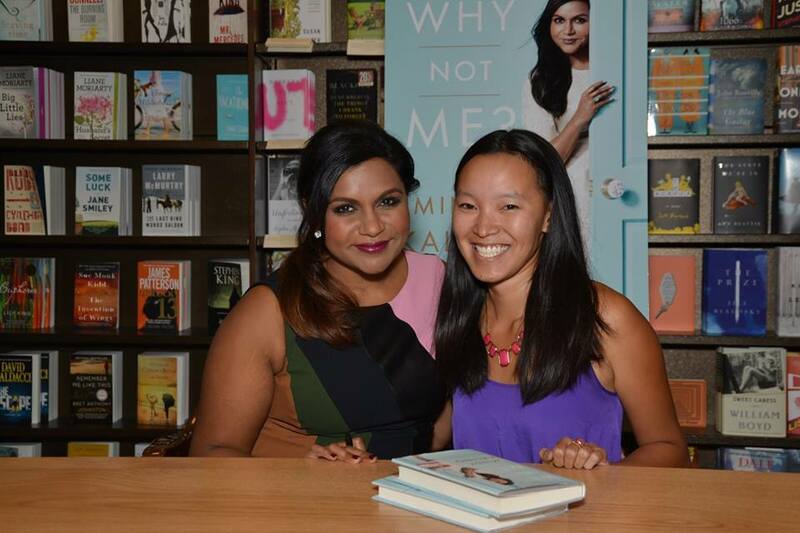 I can’t believe I’m writing this right now, but last night I got to meet MINDY KALING!!! You all know how much I love her. I invited her to my imaginary dinner party, wrote about her impeccable style, loved her first book, am in the middle of reading her second book and her show is amazing and I’m basically obsessed with her! Haha who isn’t?! So my friend Erin, who also loves Mindy, sent me a link with her book tour dates and we were planning to go see her up in LA. 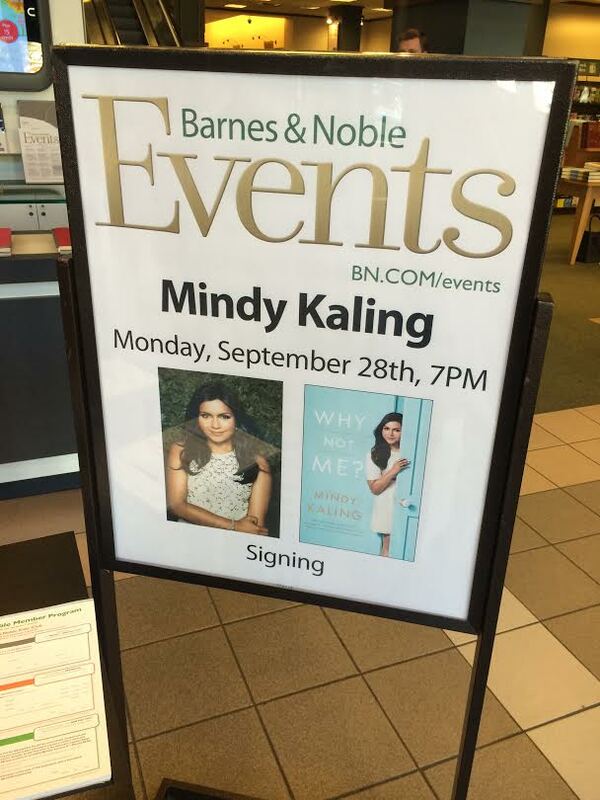 But then that date changed and Mindy was scheduled to come to my local Barnes and Noble in Huntington Beach. So this morning I waited in line for about 40 minutes to purchase a book and got a wristband to be able to attend the signing. 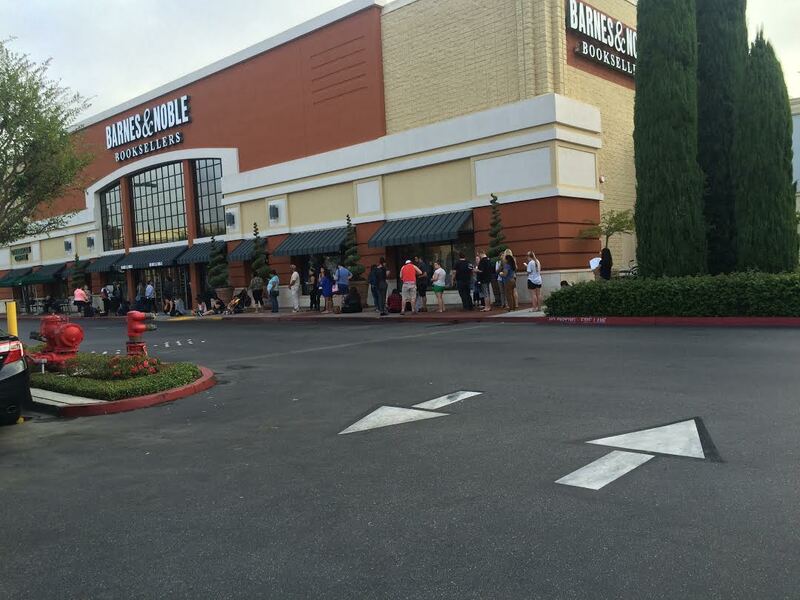 They opened at 9am and I was there at 8:30. The line was already forming by the time I got there. The signing started at 7pm. I arrived at 6:30 and they lined people up by their wristbands letters. I was in group C. Mindy arrived promptly at 7pm said that Orange County was beautiful and didn’t know why she didn’t live there and that she was excited to meet us all. By 7:20 I was TALKING to Mindy Kaling. It was all very fast. She signed up to two books. I wrote her a card that said to the fabulous Mindy Kaling and she said oh I love that, thank you. While she was singing my book I told her I loved her, and her books and shows were laugh out loud funny. She said thanks for reading my book and buying two of them (I had one signed for my friend) and said it was nice to meet me and thanks again for the card. Life made! 🙂 She is as gorgeous, fabulous, and nice in person and you would hope she is! Hopefully someday we can be BFFs for now I’m more than happy that I got to meet her, talk to her, and she signed my book! I love her more now if that’s even possible! Linking up today with Tuesday Talk! 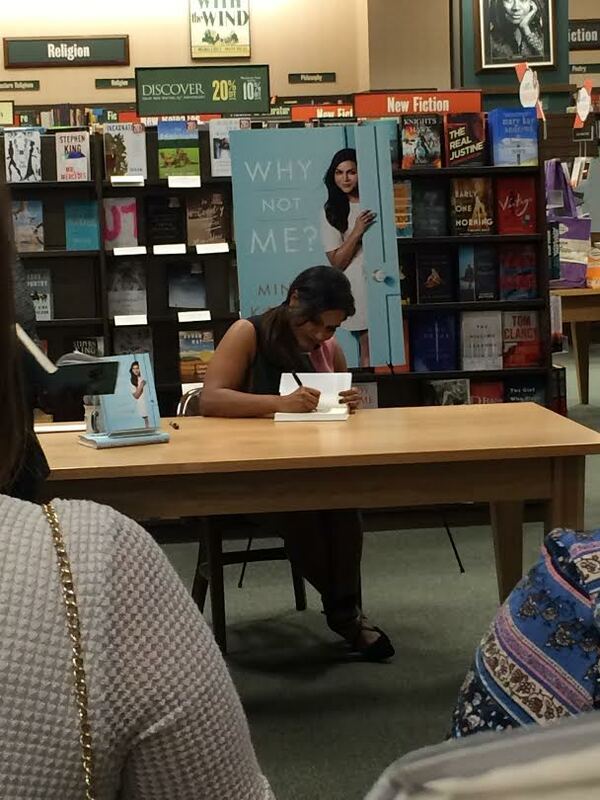 book signingfangirli met mindy kalingmindy from the officeMindy Kalingthe mindy projectwhy not me? It’s always the BEST to meet someone you really admire/love! and seriously, MINDY who doesn’t LOVE HER!!? It was REALLY awesome 🙂 She’s great. I loved her before and I love her even more now! That’s so cool that you got to meet her! I’m jealous! I love her humor and her self confidence on the show and her style! I could go on and on 🙂 but you obviously agree! That is so neat! She sounds like she is just as nice in person as she appears, which is so awesome! I love meeting celebs (or even friends of friends) who live up to your expectations after you’ve heard so much about them! Yes agreed it was awesome! Soooo I’m dumb and don’t know anything…but who is she?? AH I LOVE MINDY! I am so jealous and so happy for you! You’re living the dream! SO COOL!!! So happy for you!!! Aww thanks Lauren, you’re so sweet! ahhh so awesome! i’ve heard she’s awesome! So very exciting!!! And I love that she is as nice as you hoped she would be!